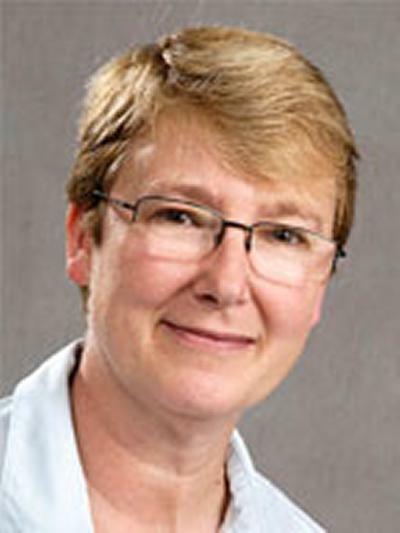 Professor Caroline Fall is Professor of International Paediatric Epidemiology within Medicine at the University of Southampton. Caroline Fall studied medicine at the University of Bristol, qualifying in 1978, followed by clinical training in General Medicine, General Practice and Paediatrics. She joined the MRC Lifecourse Epidemiology Unit (then the Environmental Epidemiology Unit) in 1989, to study the Hertfordshire birth cohort, and showed for the first time that low birthweight and infant weight were associated with an increased risk of insulin resistance and Type 2 diabetes in adult life. Since 1993, she has been working on the fetal origins of diabetes and other non-communicable diseases (NCDs), mainly in Indian populations, building up collaborations in several centres in India. Caroline works with a team of epidemiologists, nutritionists and statisticians investigating the fetal origins of cardiovascular disease and Type 2 diabetes and the maternal factors influencing fetal growth. Her chief role is to lead a programme of research involving 7 centres in India. These studies include: 1) the follow-up of children and adults whose size at birth was recorded, 2) prospective cohort studies on the short and long-term effects on the offspring of maternal nutritional status and glucose/insulin metabolism during pregnancy, and more recently, 3) randomised studies of interventions to improve maternal nutrition, starting pre-conceptionally. Caroline was the moving force and organising secretary for the First World Congress on the Developmental Origins of Health and Disease (DOHaD) held in Mumbai, India, February 2001, and has been a member of the scientific planning committees for subsequent DOHaD Congresses, held in Toronto (2005), Santiago, Chile (2009), Portland, Oregon (2011) and Capetown, S Africa (2013). She was secretary of the International DOHaD Society from 2003-2013, and continues to serve on its governing council and education sub-committee. She was awarded the David Barker Medal, the DOHaD society’s highest award for scientific achievement and leadership, in 2013. Her clinical interests are in Paediatric Endocrinology and Diabetes, and she is a member of the UHS children’s diabetes team. Member, Advisory Group, CLOSER International, University College London. 2018-2020. Member, Advisory group, NIHR Global Health Research Group (Improving outcomes in sub-Saharan African Diabetes through better diagnosis and treatment), PI Prof Andrew Hattersley, University of Exeter. 2018-2020. Member, Medical Research Council Nutrition Research Partnership – a panel of nutrition scientists convened by MRC to develop and advise upon future strategy for UK nutrition research (2017-present). Member, NIHR grant panel for Global Health Groups. 2018. Member, MRC grant panel for Global Challenges Research Fund pump-priming awards (Confidence in Global Nutrition and Health). 2017. Lead investigator, TALENT consortium (Transforming Adolescent Lives Through Nutrition) (2017-present). Lead investigator, EMPHASIS study group (Epigenetic mechanisms linking pre-conceptional nutrition and health in India and sub-Saharan Africa) (2015-present). Member, COHORTS collaboration (Consortium for Health-Orientated Research in Transitioning Societies), comprising birth cohort studies in India, Guatemala, Brazil, The Philippines and South Africa. Member, 3rd British Nutrition Foundation Task Force on Diet and Cardiovascular Disease (2014-2019). Member, HEFCE 2014 Research Excellence Framework sub-panel for Public Health, Health Services and Primary Care (2013-2014). Former Secretary (2003-2013) and current member of Governing Council, International DOHaD Society. Member, Public Health and Topical Medicine Committee (PHATIC), Wellcome Trust (2010-2015). Chair, Research Committee (2012-2016) and Member (2010-2017) of the Public Health Foundation of India (PHFI) – UK consortium for capacity building for public health in India. Member, GIFTS consortium (Genomic and lifestyle predictors of fetal outcome, diabetes and obesity in S Asian populations; PI: Graham Hitman, QMUL) (2011-2017). Reviewer for international journals and granting bodies. Member NCD-Risc consortium for global secular trends in cardio-metabolic risk markers (2009-present). Member, Sneha-India (Indian Society for Natal Effects on Health in Adults) (1995-present), and co-organiser of 1st to 20th annual Sneha-India workshops on developmental origins of health and disease (1995-2017). Professor Fall has over 230 original peer-reviewed research publications and 40 review articles. Research objective: Translating the Developmental Origins of Health and Disease (DOHaD) concept into interventions to improve human health and prevent disease in developing countries. Professor Fall leads a programme of research within the Medical Research Council Lifecourse Epidemiology Unit on the Southampton General Hospital campus (Developmental determinants of cardiometabolic health in transitioning populations). Most of her research takes place in India, where she has collaborations with research groups in Mumbai, Pune, Delhi, Mysore, Vellore and Hyderabad. Studies include birth cohort studies, prospective studies of maternal nutrition and metabolism in pregnancy, and intervention trials of nutritional supplementation before and during pregnancy. She is also interested in epigenetic changes (DNA methylation) as mediators of the link between early life nutrition and later heath. Visit the MRC LEU website for further details of individual projects. Professor Fall also has wider collaborations in low- and middle-income countries (LMICs) outside India. She is a member of the COHORTS group, a consortium of large birth cohort studies in Brazil, Guatemala, India, The Philippines and South Africa. She leads the TALENT consortium (Transforming Adolescent Lives through Nutrition), which aims to fill knowledge gaps about adolescent diets, nutritional status and physical activity in India and sub-Saharan Africa, and develop interventions to improve the diet and activity of adolescents, in Ethiopia, Ivory Coast, The Gambia, South Africa and India. She also leads the EMPHASIS study (Epigenetic Mechanisms linking maternal Pre-conceptional micronutrient Supplementation with offspring health in India and Sub-Saharan Africa). She is part of the INPREP3 study, led by Professor Marie-Louise Newell, Global Health Research Institute, a collaboration with Burkina Faso, Ghana and S. Africa to develop interventions for mothers that are feasible within existing African health systems. She contributes data to the NCD-RisC collaboration which analyses trends in NCDs using data from >19 million people in >180 countries. Regular reviewer for more than 20 international journals and national and international granting bodies. Kehoe, S., Dhurde, V., Bhaise, S., Kale, R., Kumaran, K., Gelli, A., ... Fall, C. (Accepted/In press). Barriers and facilitators to fruit and vegetable consumption among rural Indian women of reproductive age. Food and Nutrition Bulletin. Bhagyashree, S. R., Sheshadri, H. S., Nagaraj, K., Prince, M., Fall, C., & Krishna, M. (Accepted/In press). Application of machine learning methods for diagnosis of dementia based on the 10/66 battery of cognitive function tests in South India. Social Psychiatry and Psychiatric Epidemiology. Veena, S. R., Gale, C. R., Krishnaveni, G. V., Kehoe, S. H., Srinivasan, K., & Fall, C. H. D. (Accepted/In press). Association between maternal nutritional status in pregnancy and offspring cognitive function during childhood and adolescence; a systematic review. BMC Pregnancy and Childbirth, 1-54. Veena, S. R., Krishnaveni, G. V., Srinivasan, K., Thajna, K. P., Hedge, B. G., Gale, C. R., & Fall, C. H. D. (Accepted/In press). Association between maternal vitamin D status during pregnancy and offspring cognitive function during childhood and adolescence. Asia Pacific Journal of Clinical Nutrition, 1-26. Krishnaveni, G. V., Veena, S. R., Jones, A., Bhat, D. S., Malathi, M. P., Hellhammer, D., ... Fall, C. H. (2014). Trier social stress test in Indian adolescents. Indian pediatrics, 51(6), 463-467. Veena, S. R., Krishnaveni, G. V., Srinivasan, K., Wills, A. K., Muthayya, S., Kurpad, A. V., ... Fall, C. H. D. (2010). Higher maternal plasma folate but not vitamin B-12 concentrations during pregnancy are associated with better cognitive function scores in 9-10 year old children in south-india. Journal of Nutrition, 140(5), 1014-1022. DOI: 10.3945/jn.109.118075. Kinare, A., Chinchwadkar, M., Natekar, A. S., Coyaji, K. J., Wills, A. K., Joglekar, C. V., ... Fall, C. H. D. (2010). Patterns of fetal growth in a rural Indian cohort and a comparison with a western European population: data from the Pune Maternal Nutrition Study. Journal of Ultrasound in Medicine, 29(2), 215-223. Fall, C. (2009). Maternal nutrition: effects in health in the next generation. Indian Journal of Medical Research, 130(5), 593-599. Bhate, V., Deshpande, S., Bhat, D., Joshi, N., Ladkat, R., Watve, S., ... Yajnik, C. (2008). Maternal vitamin B12 status in pregnancy Indian women and cognitive function in their 9-year old children. Food and Nutrition Bulletin, 29(4), 249-254. Krishnaveni, G. V., Hill, J. C., Veena, S. R., Geetha, S., Jayakumar, M. N., Karat, C. L., & Fall, C. H. (2007). Gestational diabetes and the incidence of diabetes in the 5 years following the index pregnancy in South Indian women. Diabetes Research and Clinical Practice, 78(3), 398-404. DOI: 10.1016/j.diabres.2007.06.002. Krishnaveni, G. V., Hill, J. C., Veena, S. R., Leary, S. D., Saperia, J., Chachyamma, K. J., ... Fall, C. H. D. (2005). Truncal Adiposity is Present at Birth and in Early Childhood in South Indian Children. Indian pediatrics, 42(6), 527-538. Fall, C. H. D., Yajnik, C. S., Rao, S., Davies, A. A., Brown, N., & Farrant, H. J. W. (2003). Micronutrients and fetal growth. Journal of Nutrition, 133(5 Suppl 2), 1747S-1756S. Fall, C. H. D. (2003). The fetal and early life origins of adult disease. Indian pediatrics, 40(5), 480-502. Fall, C. H. D. (2001). Non-industrialised countries and affluence: relationship with Type 2 diabetes. British Medical Bulletin, 60(1), 33-50. Martyn, C. N., Gale, C. R., Sayer, A. A., & Fall, C. H. D. (1996). Growth in utero and cognitive function in adult life: follow up study of people born between 1920 and 1943. BMJ, 312(7043), 1393-1396. Robinson, S., & Fall, C. (2013). Infant nutrition and lifelong health. In R. R. Watson, G. Grimble, V. R. Preedy, & S. Zibaldi (Eds. ), Nutrition in Infancy. Volume 1 (pp. 3-16). (Nutrition and Health). New York City, US: Humana Press. Barker, D. J., Kajantie, E., Eriksson, J. G., Alwasel, S. H., Fall, C. H. D., & Roseboom, T. J. (2010). The maternal and placental origins of chronic disease. In G. J. Burton, D. J. P. Barker, A. Moffett, & K. Thornburg (Eds. ), The Placenta and Human Developmental Programming (pp. 5-12). Cambridge, GB: Cambridge University Press. Fall, C. H. D. (2006). Developmental origins of cardiovascular disease, type 2 diabetes and obesity in humans. In M. Wintour-Coghlan, & J. Owens (Eds. ), Early Life Origins of Health and Disease (pp. 8-28). (Advances in Experimental Medicine and Biology; No. 573). USA: Springer. MRC Lifecourse Epidemiology Unit, Faculty of Medicine, University of Southampton, Southampton General Hospital, Tremona Road Southampton SO16 6YD.